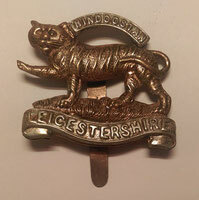 The Leicestershire Regiment (Royal Leicestershire Regiment after 1946) was a line infantry regiment of the British Army, with a history going back to 1688. 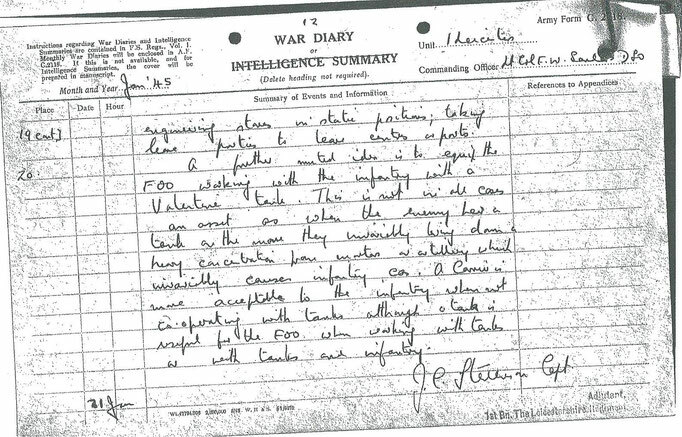 The regiment saw service for three centuries, in numerous wars and conflicts such as both World War I and World War II, before being amalgamated, in September 1964. The Territorial infantry battalions, the 1/5th and 2/5th, both served in the war, the 1/5th with 148th Independent Infantry Brigade as part of 49th (West Riding) Infantry Division, the 2/5th with 138th Infantry Brigade, 46th Infantry Division, throughout the war. The 1/5th Battalion fought briefly in the disastrous Norwegian Campaign before being withdrawn to the United Kingdom and then to Northern Ireland. Next of Kin: Son of R.A. and May Keen, of Camborne, Cornwall. KIA Information: Believed to have been killed in the Valburg area.